I am a big fan of Ken Block’s Gymkhana series of videos. 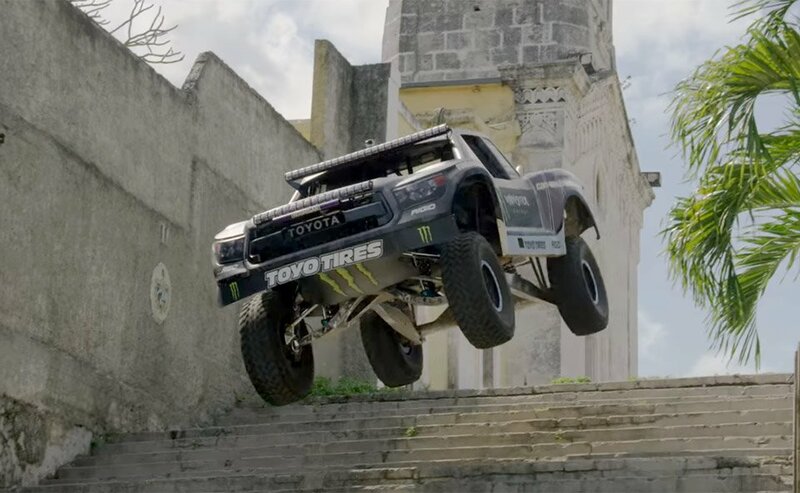 Toyo Tires does something similar with BJ Baldwin and the Toyota trophy truck that Baldwin drives, in a video series is called Recoil. The latest video in the Recoil series is now available, and it’s a blast. In Recoil 4, Baldwin is in Cuba and has to get to a party quickly. He jumps into his fancy trophy truck and proceeds to not give a damn about anything in his path. The stuff the truck can jump and run over without even breaking stride is incredible. That massive jump onto the beach looks like the truck won’t survive, but it just keeps going. Check out the video, it’s about 9 minutes-long, but well worth watching.